Organizers of the Larry H. Miller Tour of Utah have revealed a race route for the 2015 edition of the event that will cover over 712 miles in total and make the race’s first visit to the state of Idaho. 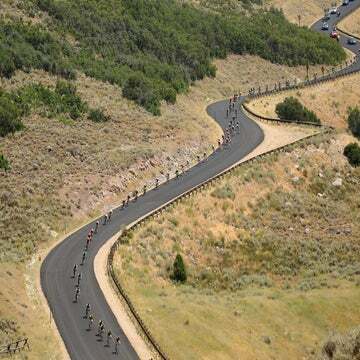 The Tour of Utah will make the jump from a 2.1 ranking on the UCI America Tour to a 2.HC ranking this year, putting it on the same UCI race level as the Amgen Tour of California and the USA Pro Challenge, and the newly promoted race will greet riders with 51,442 feet of elevation gain from start to finish. The race will take place from August 3-9, starting with a stage in Logan, Utah. The “queen stage,” stage 6 on Saturday, August 8, will take the peloton over nearly 13,000 feet of elevation gain en route to a finish at Snowbird Ski and Summer Resort before the final stage of the race on the following day in Park City. Details of the Tour of Utah Women’s Edition: Criterium Classic were also released, with two days of criterium racing planned for August 3 in Logan and August 4 in Ogden.